Ticks are more than just creepy; they can spread a number of different diseases that affect both pets and people. And each year, thousands of dogs become infected with serious diseases transmitted by a number of different ticks. Ticks can transmit Lyme disease, Ehrlichia, Rocky Mountain Spotted Fever, anaplasmosis, tularemia, and babesia. Generally known as vector-borne disease, the risks they pose to your dog can be minimized with preventive measures (topical medications, tick collars, etc.) and annual checkups include vector-borne disease screening. This is especially important, as symptoms of vector-borne disease are often vague and difficult to recognize. Because of this, many pet owners don’t know their dog is suffering from a debilitating tick disease until it’s too late. Fortunately, PetHealthNetwork.com can help pet owners with tips and information about vector-borne disease and how to keep dogs safe. Because when you know more about the risk, you can help keep your best friend happy, healthy and tick-free. So what can you do to protect your pets and your family from tick-borne diseases? Find out below, then learn more about parasite screening and prevention at our parasite prevention and screening campaign. Visit Pets & Parasites from the Companion Animal Parasite Council (CAPC) to learn about how widespread tick-borne diseases are in your area. Dogs are susceptible to a number of parasites that they can get from tick bites. Find out about six of the most common infections and then check out how prevalent they are in your area! Can My Dog Get Diseases or Parasites From Ticks? Yes! Dogs are at risk for getting a number of parasites and other bad effects from tick bites. Find out how a tick bite could impact your dog and how this can be an indicator that your whole family may be at risk from the same ticks. Canine anaplasmosis can be found throughout the United States, primarily in the northeastern, mid-Atlantic, and north-central states, as well as in California and can pose a serious risk to your dog's health. Get the basics of anaplasmosis here so you can ask your veterinarian about it! Canine ehrlichiosis comes in multiple forms that are often specific to different U.S. regions. It poses varying levels of risk to people, depending on the strain, but can be difficult to diagnose and become chronic if left untreated. In dogs, Rocky Mountain spotted fever appears suddenly with severe illness lasting about two weeks. If not treated early enough, Rocky Mountain spotted fever can result in death. 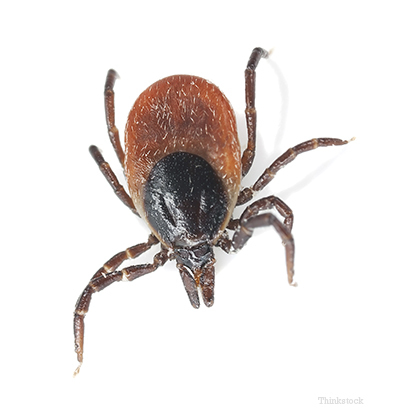 Unlike other vector-borne diseases that are transmitted by tick bite, both forms of canine hepatozoonosis are transmitted when a dog eats or otherwise ingests an infected tick.